USWNT finishes SheBelieves Cup with victory over Brazil. USWNT gets SheBelieves Cup win. Soccer 03/05/2019. Phil Neville's side beat Brazil and Japan either side of drawing with hosts the United States during their triumphant SheBelieves Cup campaign. Captain Steph Houghton insists England Women are hungry for further success after their SheBelieves Cup triumph. Which teams are playing in the 2019 SheBelieves Cup? This year's edition of the tournament features host nation USA, Brazil, England and Japan. The four teams will play a round-robin tournament where points will be rewarded in the group stage with the conventional formula of three points for a win, one point for a draw, and zero points for a loss. Who are the current champions of the SheBelieves Cup? Host nation USA are the current defending champions of the SheBelieves Cup. What are the key fixtures of the 2019 SheBelieves Cup? What are the 2019 SheBelieves broadcasting channels? In the UK and Ireland, some of the fixtures (predominantly one featuring England), will be televised on BBC Four and BBC Two. FOX Network and FOX Sport 1 will air selected games for viewers in the United States. In UK and Ireland, selected games can be streamed live on BBC iPlayer and BBC Sport Live while the same can be done via FOX Sports Go platform via subscriber authentication. 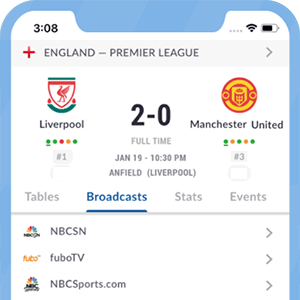 The same channels can be accessed using OTT services such as fuboTV, Sling or other service such as YouTubeTV who carry the FOX and FOX Sports channels in the United States. The games not involving the USWNT will be available on the USSoccer.com website.